“I can’t believe I locked myself out of my home/office/car,” is an oft-repeated refrain to the seemingly profitable locksmith industry and certainly one John McLear, a UK-based inventor, repeated one too many times. In search of a solution more feasible than a better memory, McLear decided to solve the problem of lost keys forever by creating the NFC Ring. Funded by Kickstarter and now in full production, this nickel-free, titanium-based ring is programmed to connect to your smartphone. 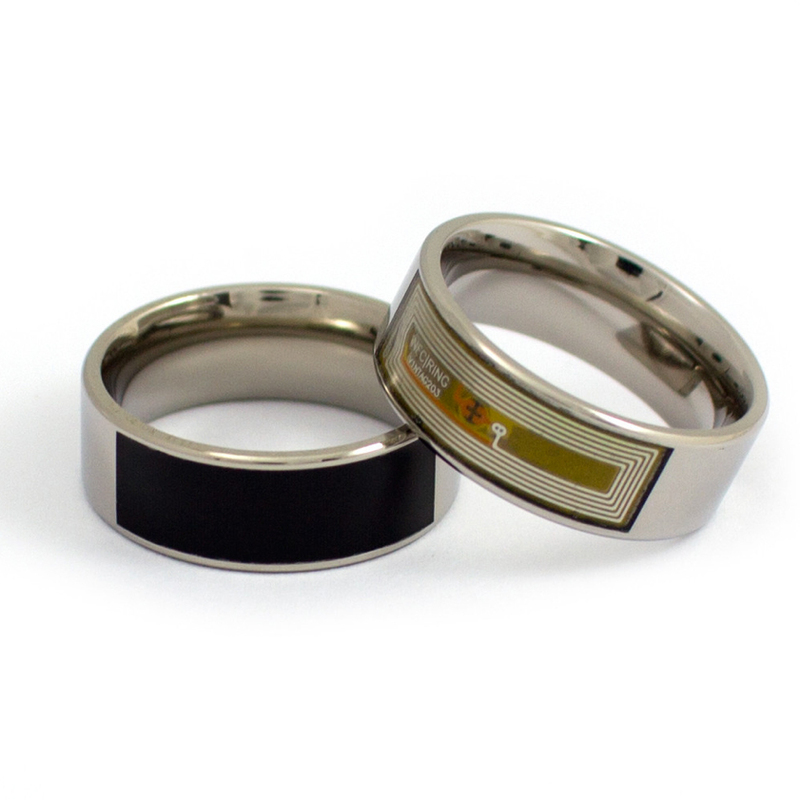 An added techie bonus is the NFC ring comes water resistant with no charging required. Here are some of the awesome things this ring can do with just a wave of your hand. Take your NFC enabled phone out of your pocket, slide your hand along the back and the NFC Ring can unlock it (currently only for Android devices). It couldn't be easier. Want to be able to use your ring to open your house? No problem. Just grab yourself an NFC enabled door lock, install it and your NFC Ring can interact with it. You can use your NFC Ring to share Wifi information, links to website and pictures, contact information or whatever you think is suitable to be passed securely to your friend’s smartphones and tablets. How about turning wifi or bluetooth on for example, at the swipe of a hand? You can use your NFC Ring to start apps with custom settings.